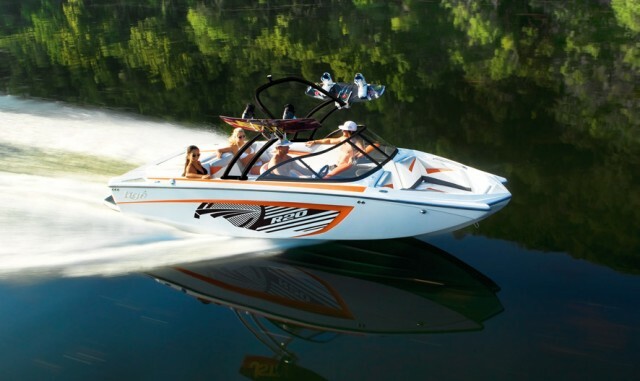 Tigé Debuts the new-for-2014 ASR, a wakeboard and wake-surf boat poised to set the industry on its ear. 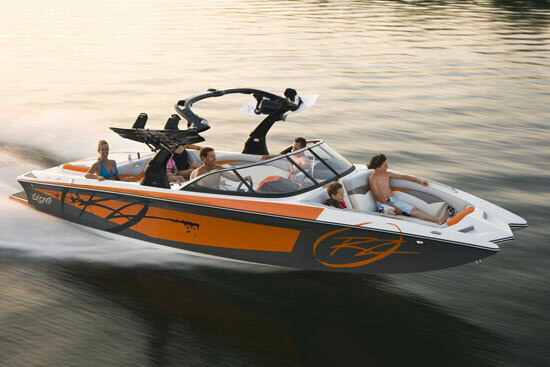 It wasn't all that long ago that the wakeboard boat industry was wowed by the Tige RZR. With its chiseled lines and sharp surface breaks, edgy gelcoat schemes and graphic elements, the RZR was definitively new and cutting edge. 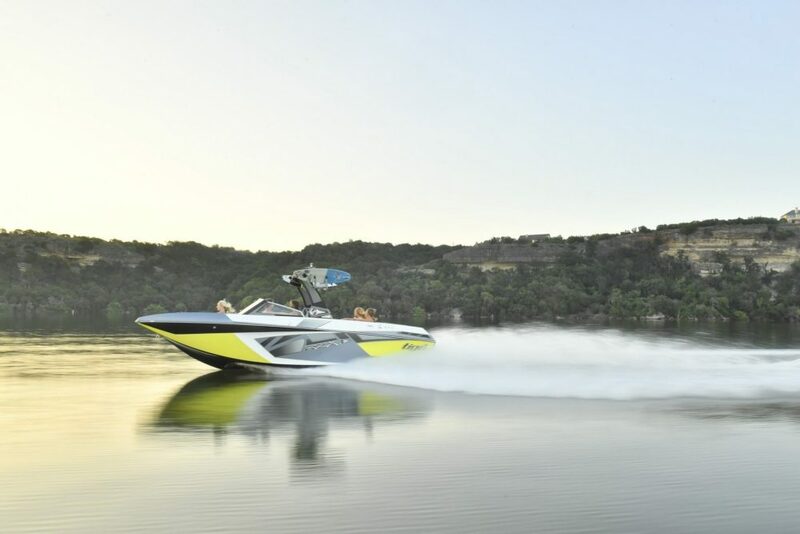 Now, Tigé is upping the ante with its new-for-2014 Tigé ASR, a family-friendly wakeboard and wake-surf boat designed about as close as you can get to being everything to everyone. This thing rocks. You want a high wow-factor? The Tige ASR has got it. First, let’s talk about the features wakeboarders and wake surfers want. The ASR’s new Apex hull can carry up to 3,000 pounds of water ballast. 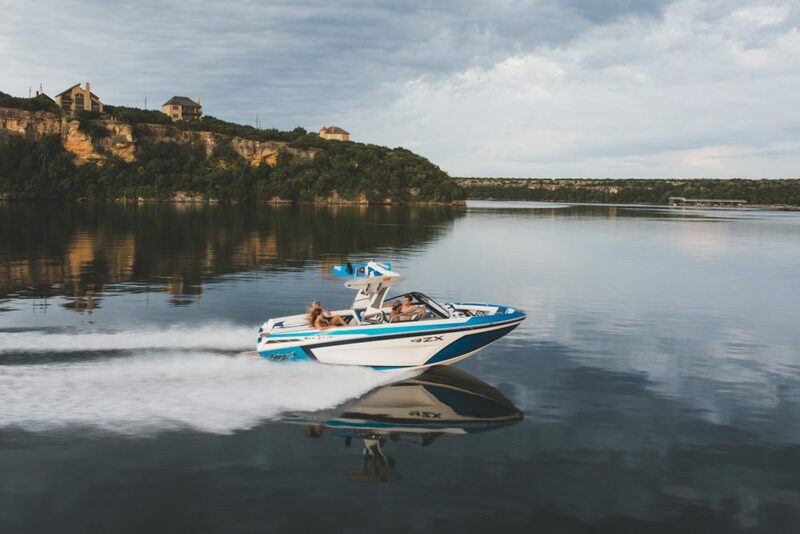 The new model comes with the Tige wake-enhancing features you expect, like the Convex VX hull and the TAPS system and the Alpha Z tower. That aluminum Alpha Z tower is fully collapsible, yet solid and rattle-free. Because it’s spring-assisted, it’s easy for one person to operate, and it doesn't intrude into the driver’s area, which means you can lower it to go under low bridges without having to drive while seated on the floor. Naturally it has swivel board racks, speaker mounts, a Bimini and matching graphic elements. The Bimini itself is pretty neat because it was first engineered for storing surfboards. It’s also unique in that it’s the only tower with surf tow points on both sides. It also has TigeTouch, which offers full control of the boat’s systems via one interface, mounted ahead of the throttle to the right of the gauges. It lets you save up to 20 rider profiles, with preferences for surf wake settings and those for wakeboarding. 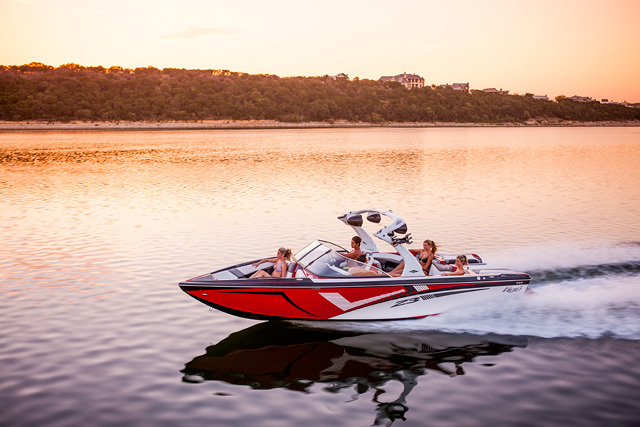 The screen also offers the driver control over Tige Speed Set, a new generation of digital speed control. The speed control system operates seamlessly with the Indmar V8’s drive-by-wire throttle control. Yes, you read that right. Indmar. Tige has parted ways with Pleasurecraft Marine to offer Indmar Marine Engines in its products now, including the ASR. The Tige ASR offers an optional 6.2-liter supercharged LS V8 lifted from a Cadillac CTS-V.
Now let’s go back to Correll’s comment about maximizing usable space. He meant it. In the cockpit sole, there’s a deep stowage compartment with a removable trash bin. What’s more, there’s stowage under each of the cockpit lounges. They swing up on hinges for convenience. No having to hold up the cushion while trying to put something away. There’s a low slung and very usable walk through to the swim platform in the center of the rear sun pad. To either side is a cavernous — I’m talking echo chamber — stowage compartment. The transom also has a trunk for ropes and gloves and binding lube. 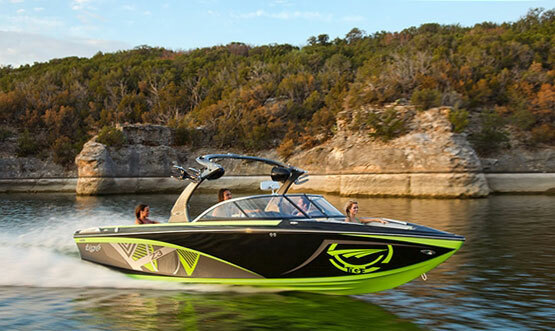 Up front, Tige designers created one of the most spacious bows in the tow boat market. It’s huge. It’s deep, too, up to the shoulder blades in the front seats. Yes, the front seats. The forward-facing lounges are even deeper, with comfortably angled backrests, which are also hinged at the top to provide access to stowage under the windshield cowl area. The bow cushions lifted to reveal even more gelcoated stowage. What’s interesting about the bow, and it directly relates to Correll’s comment about maximizing space, is the step up into the bow area conceals a removable Igloo cooler with wheels and a tow handle. There’s a lot to this boat, more than we have space for here. Even Tige has yet to publish all the details of the new ASR. Suffice it to say that this boat is one Tige’s competitors are going to want to take a peak at. We can see traces of the RZR in tow boats across the industry. It’s only a matter of time before we see that happen as a result of the ASR, as well. See listings of Tige wakeboarding and wake surfing boats. For more information, visit Tigé.